Now let me explain why baking is such a novelty to me. I’ve never been much of a cook, claiming I never have the time nor the patience. I don’t even cook at home, choosing to dine out with friends or if forced to, pick up some sushi on the way home. I did chose to take food technology as part of my GCSEs but that was only so I could eat cake and have flour flights with my friends, so for me the thought of baking has never crossed my mind. Some may find that strange considering my love of cake but I’d much rather pay out for something that has been baked for me and save on the washing up. 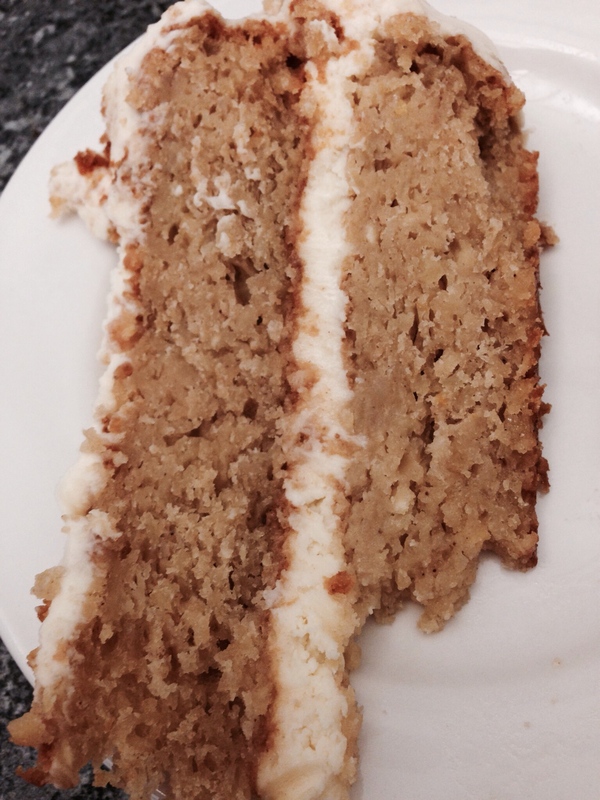 I’ve become fed up with the number of dry and somewhat disappointing cakes I’ve come across in London recently. Some of my favourite independent bakers have expanded loosing both quality and freshness which has often left me wondering whether I could do better at home. This and my recent visit to Clandestine Cake Club has enthused me to give it ago myself. 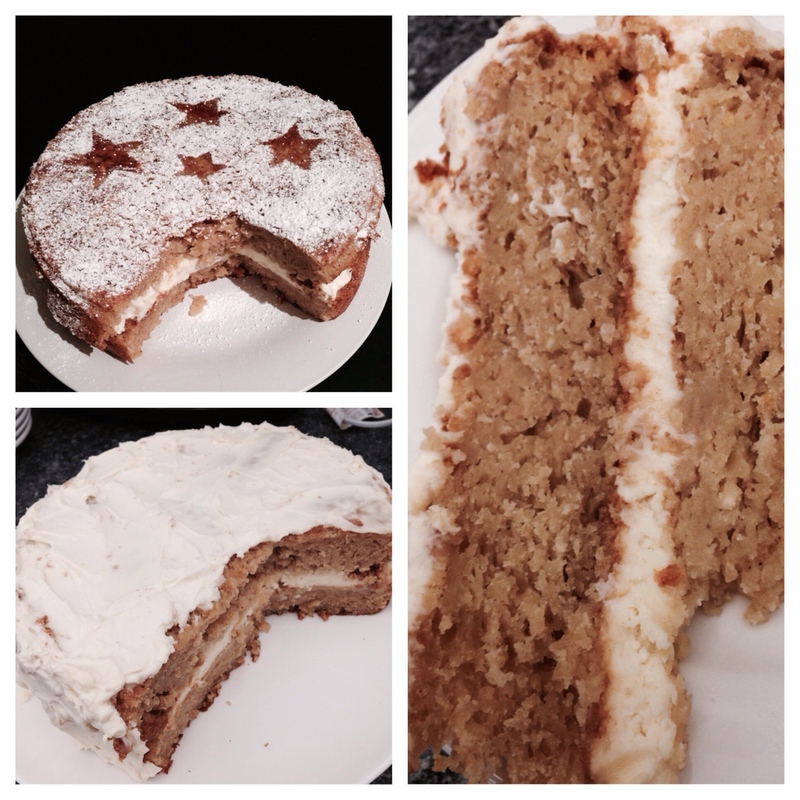 Our office weekly treats hosted every Friday provided me with the perfect opportunity to try my hands at baking. When researching what to bake for my turn, I found a lovely sounding parsnip and maple cake recipe on the BBC Good Food website. I’m really into my vegetables and parsnips are my favourite so this recipe was perfect, even though it wasn’t the simplest of choices for my first bake. I like to plough into things and never opt for the simple option and it was the same on this occasion. I dedicated my Thursday evening to creating my masterpiece, making sure I had purchased all the ingredients beforehand to save time so the cake would be ready in time for me to lick the bowl before bed. As you’ll learn, this wasn’t to be. First up, I hadn’t any baking tins so a quick walk up to Wilkinson’s was needed. Then I realised I hadn’t any baking paper and that was a must. A cake stuck in the tin is no good to anyone so off to Sainsbury’s I went. Finally home with my new cake tins both greased and lined I learned that my kitchen scales had ran out of batteries and I had no spare. This meant yet another trip to Wilkinson’s for some new kitchen scales. This was starting to become one expensive bake! I made the mistake of starting cooking before weighing out my ingredients and soon came to realise that 250g of parsnips do not equate to 250g of those peeled and grated and I was a good 100g short resulting in another trip to Sainsbury’s. I couldn’t believe how long this was taking! 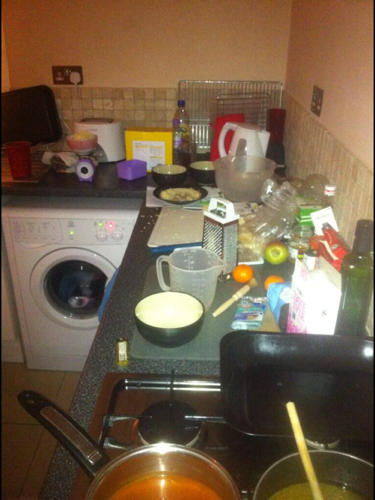 An hour later and the cake was finally in the oven with the kitchen resembling something of a bomb site, a very hot a flustered Helen and a very scared boyfriend. 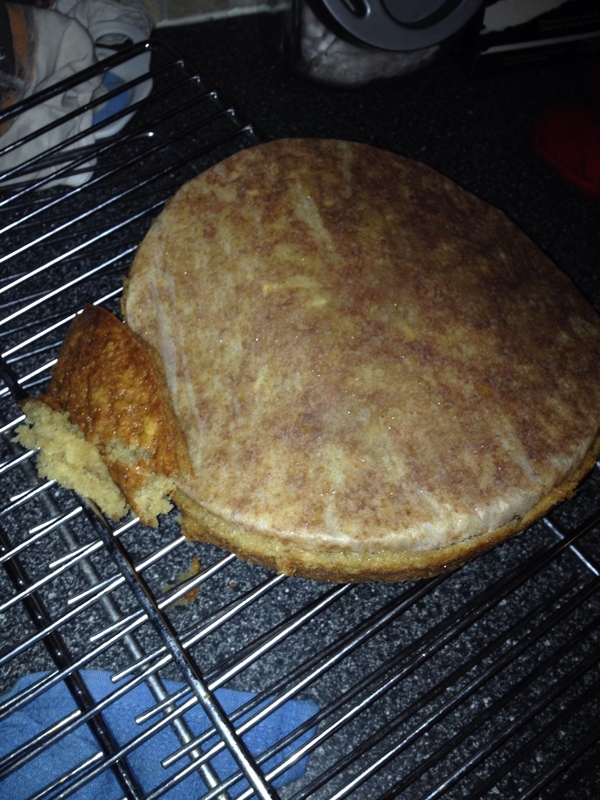 There was a small incident with trying to get the cake out of the tin which involved me putting my arm through the ring, pushing the removable base and cake out while trying to shimmy it onto the wire rack. This manoeuvre resulted in the loss a small section of cake and a few bad words being shouted. 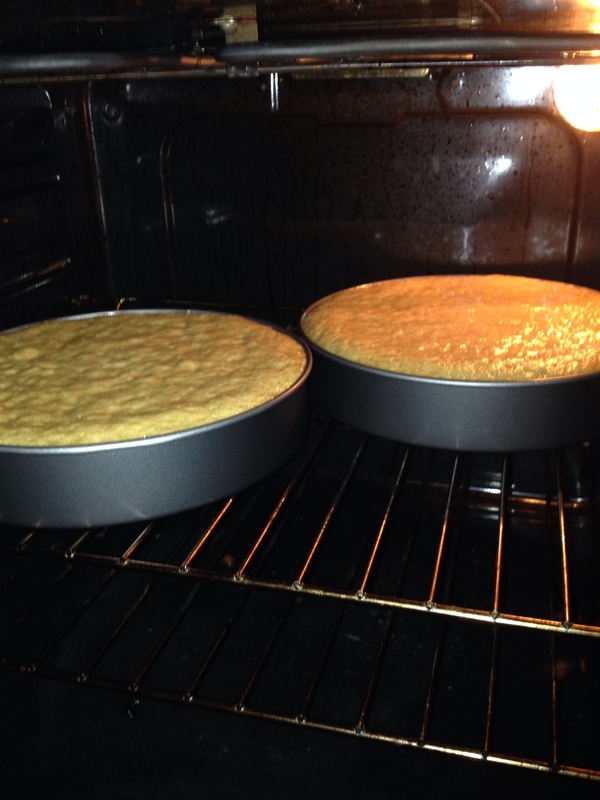 I’ve since learnt that all I need to do is hold the rack on top of the tin and tip it upside down to remove the cake. So my not quite round cake had been unsuccessfully assembled and dusted with icing sugar to create a cute decoration of stars. It was good enough to eat and although it may not have looked the part, I was rather pleased at my first attempt. There was only one minor issue, how the hell would I transport it to the office on the tube during morning rush hour? I didn’t have a cake tin! I was forced to cut the cake in half to squeeze it into a Tupperware box which thankfully meant I was able to leave out the collapsed part and the whole thing went unnoticed. This also gave me an excuse to have a slice before taking it into work. If you’re planning to make this cake, I wouldn’t recommend icing the top as the sponge is so moist it gets all messy and I should have left it how it was with just a light dusting of icing sugar. The icing of mascarpone and maple syrup was so tasty though I just had to add more! I was a little disappointed with the appearerence of my cake and how the bake went overall but after tasting it and hearing what my colleagues thought made my horrendous evening worth while. The cake went down a treat and I can honestly say, it was the best cake I have ever tasted without blowing my own trumpet! My colleagues loved it and I had great fun asking them to guess the key ingredient with most people saying carrot. 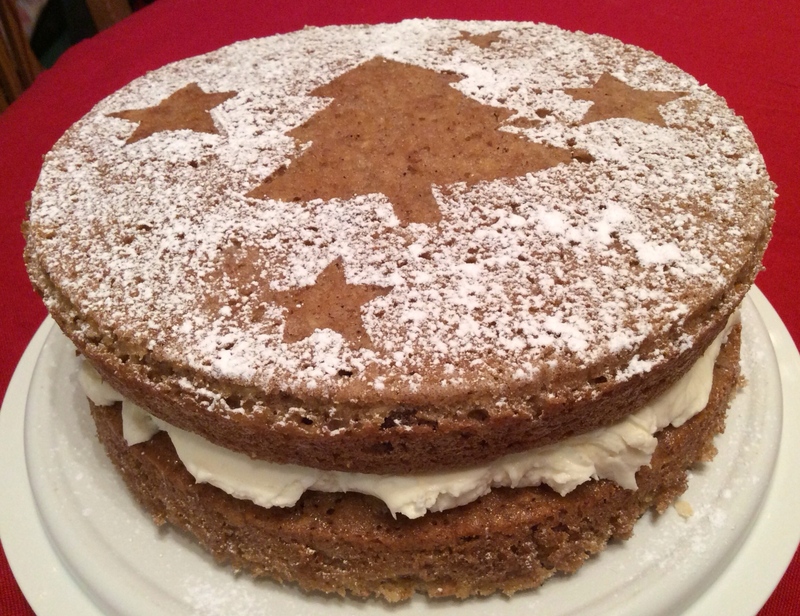 It was so good, I even baked it for my family to try at Christmas (I’m having a slice as we speak and unfortunately it isn’t a good as the first but still very tasty). This cake is ever so moist, gooey and oh-so fresh. The mascarpone filling is divine and even Bob at work who’s diabetic said it was a perfect consistency and not overly sweet. Two slices at a time and I wasn’t sick of it at all. 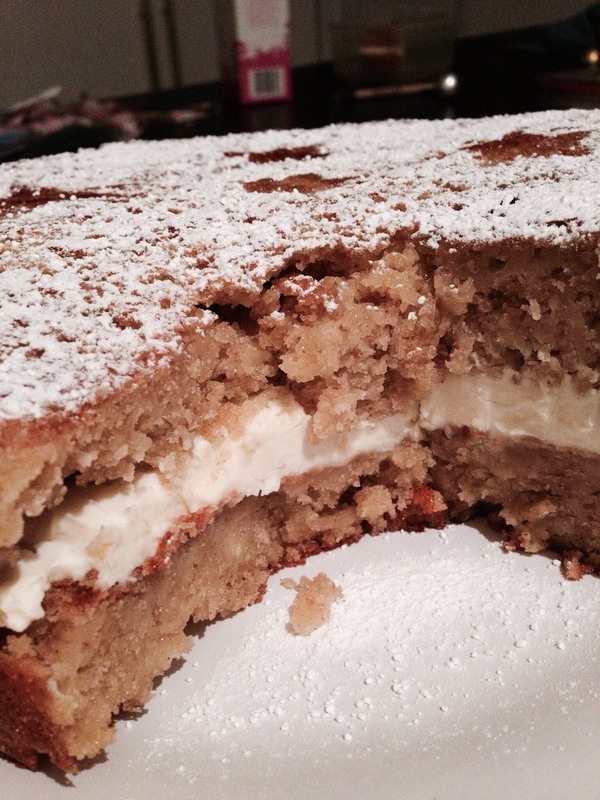 If you fancy your hands at baking then I can’t recommend this parsnip and maple cake recipe enough. Give it a go and let me know how it turns out!